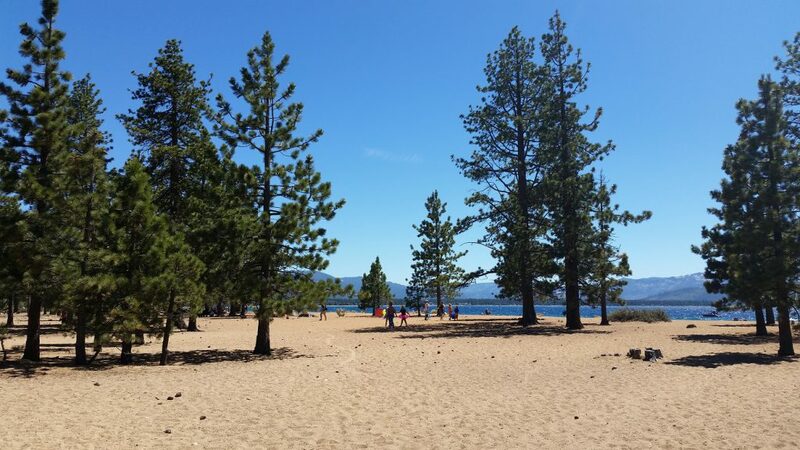 Nevada Beach is spectacularly beautiful and remarkably popular with tourists who visit Lake Tahoe. 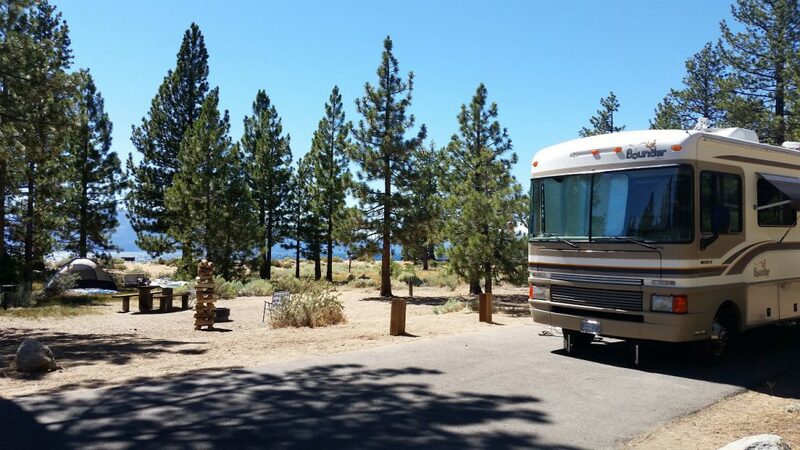 Nevada Beach is a favorite of visitors who want to camp and play on the beach. 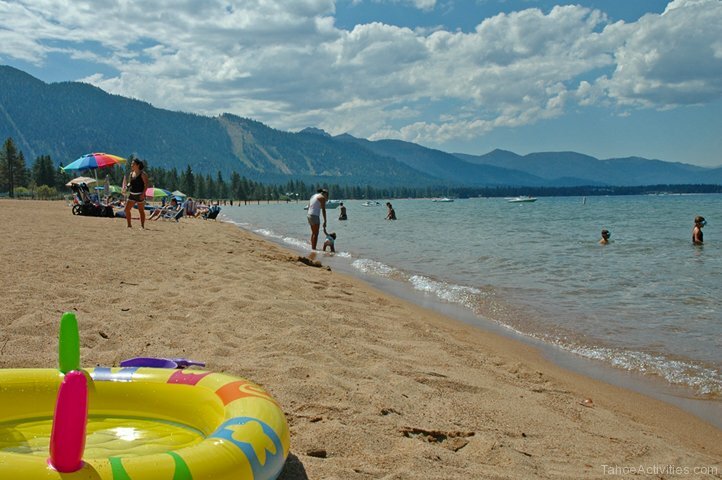 Nevada Beach has expansive course Tahoe sand beaches, the widest of all the South Lake Tahoe beaches. The southern end of the beach has a section that allows dogs on the beach. So bring your dogs on a leash and let them have some fun splashing around. Expect large crowds during the summer weekends. Nevada Beach is so extensive that even when it is crowded, there is plenty of room for everyone. The northern end of the beach is where you can rent kayaks and other non-motorized lake toys. There are lots of picnic tables and barbecues sprinkled throughout the Beach site. Huge pavilions are available for groups. You will find several restrooms on the beach and in the campground. 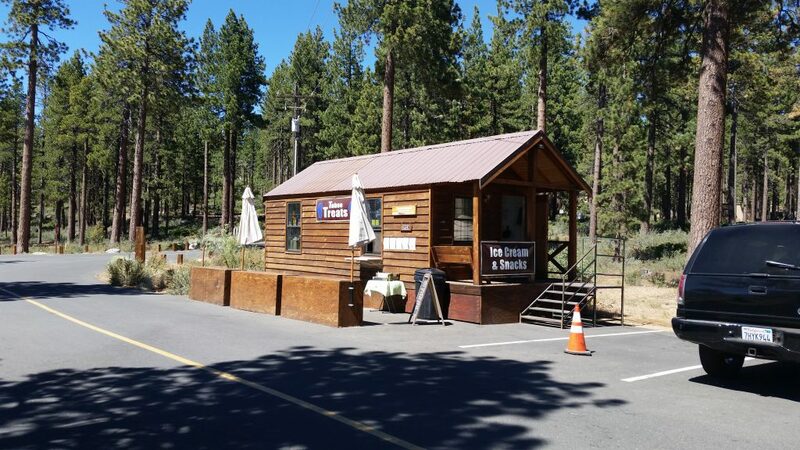 A snack shack sells refreshments during the busy summer months. 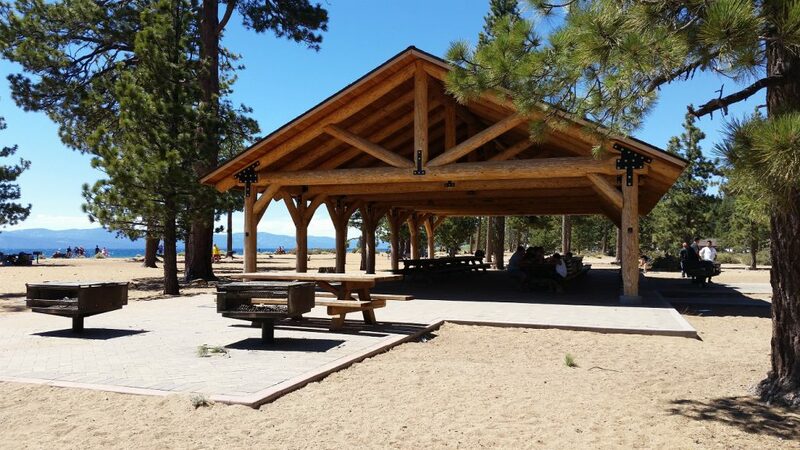 Nevada Beach is connected to Round Hill Pines Resort on one side, and the Kahle Community Center on the other side, by a beautiful bike & hike trail through the meadows. The campground is located right on the beach-tree line. 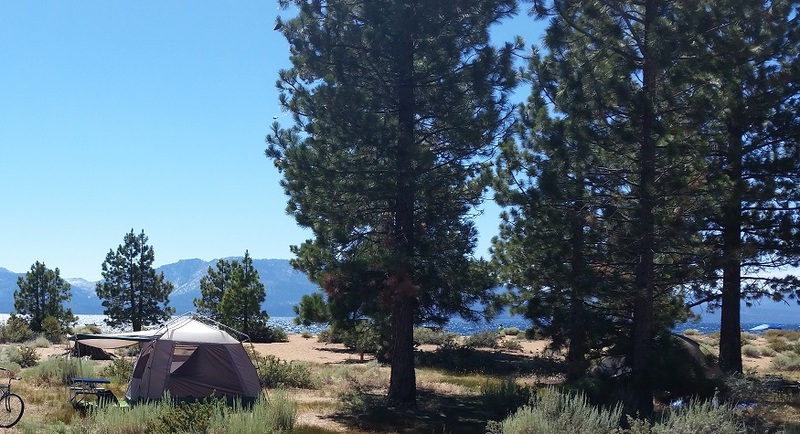 If you would like to camp at Nevada Beach, start making reservations a year in advance. 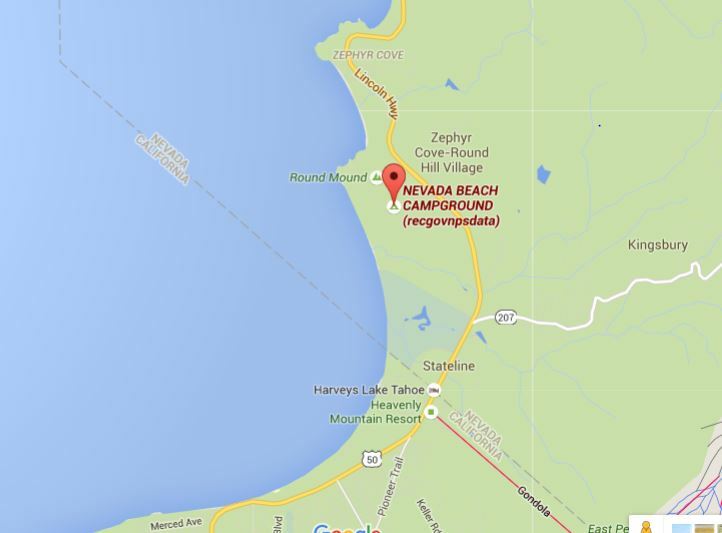 Nevada Beach Campground has rooms for both tents and RVs. For more information on traversing the mountain passes with your truck or RV check out the Mountain Directory: A Guide for Truckers, RV and Motorhome Drivers. It is an e-book with interactive maps and description of roads and passes to help you plan the best travel route. Dogs are allowed in designated areas of the beach. Parking is $8. To get here take Highway 50 out of California about 2.5 miles (north), then make a left on Elk Point Road. You can’t miss the beach entrance.